Fun, strengthening, and healing yoga. I do yoga that feels good and serves me in a way that fits my current needs. To me, yoga is not something that requires a membership. Nor is it competitive or hard. True yoga is daily. It is unique to your body and life. It is a mindset and a lifestyle, and I would love to help you discover your yoga! Who and what do you teach? Yoga is for ANYONE who wants to improve their quality of life. Please contact me if you are new to yoga or would never consider yourself a “yogi”. I teach people of all ages and body types–competitive athletes, office workers, stay-at-home parents, retirees, teenagers etc.. anyone who wants to learn the skills for their own personal, daily, real yoga practice! This includes lessons on how to calm the mind, stretch the body for optimal performance, and how to RELAX. Everyone should do yoga if they want to become stronger in every aspect of life. I will help you understand the scientific benefits of yoga, including anatomical focus of poses, importance of nutrition and REST, and internal systems of the body. Breathing, stretching, and RELAXATION techniques are an integral part of my instruction. Do I have to be flexible in order to do yoga? Definitely not! How does one define flexibility anyway? Our bodies are all different. Flexibility is relative. Our own flexibility may even differ from day to day, and from hour to hour! Embrace your body and your flexibility. You will be amazed at what a consistent practice can help you achieve. A healthy diet is the one that fits your lifestyle while optimizing your physical, emotional, and mental well-being. It usually includes fresh vegetables, fruits, grains, protein, and dairy, along with foods you just plain enjoy for the taste, experience, whatever! Cooking is a great way to learn about nutrition. I can help you design a nutrition plan, but ultimately, you are the master of your body. Make sure to educate yourself on nutrition, eat with awareness, and choose with careful consideration of your body’s needs and desires. There are no foods that are off-limits (trust me, I eat everything!). BALANCE is the key to happiness and health in life! What tools do I need for yoga? First and foremost, you need a body. Not any body..YOUR body. And does that body have to be flexible and thin? HECK NO! Whatever body type you have, bring it and through yoga we can make it the best body fit for your soul. 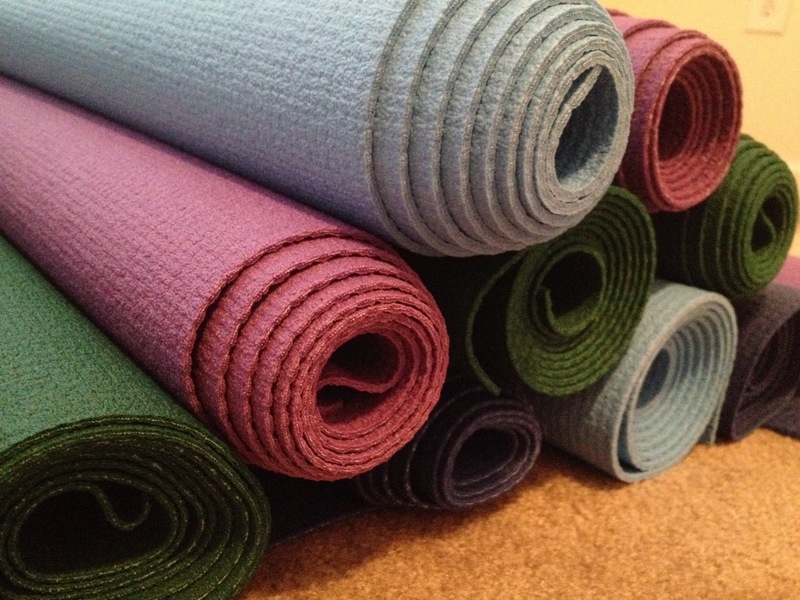 Ok but really aside from yourself, you will really just need a good non-slip, sticky yoga mat. My absolute favorite kind is imported from Germany and certified by the Oeko-Tex institute standards. Eco-friendly, non-toxic, dense quality mats..I swear by these!! Let me know if you would like to purchase one. Whenever possible! I usually do some asanas and meditation/relaxing in the morning after waking up, and right before going to bed. But a couple of minutes here and there throughout the day is enough to reap tremendous health benefits! You can and should take yoga anywhere with you–at work, at the mall, at the grocery store, on vacation, in the car. Yoga is a physical and mental tool that fits into your life whenever you need it the most. Follow me on Facebook, Instagram, Twitter, and email me for yoga service inquires. Check out my BLOG! for more FAQ, random thoughts, and tips. Hope to chat soon!